Today Pawan Kalyan filed his nominations in Gajuwaka constituency. He told, Gajuwaka is not just a mini-Andhra but it is “mini bharat” , referring all sections of people living here. People turned up in huge crowds for this event and the entire area echoed with “Pawan CM” slogans. Later he spoke in public meeting. Pawan Kalyan recalled that his acting life started at vizag and he is happy to start his political life as well from the same district. He told, Janasena will ensure Vizag is free from the land grabbers and factionists , indirectly referring YSRCP. He told, those who commented that Pawan doesn’t know politics will be in a shock after the results. 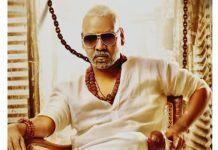 He also recalled that when he wanted to do a movie (Badri) and thinking of whom to give the opportunity he recalled producer Trivikrama Rao, who showed affection towards him earlier and he gave chance to Trivikrama Rao despite the fact that he was going through lean phase financially that time. Pawan Kalyan introduced Janasena leaders to the public and share his personal experience with them and explain the specific reasons for fielding each of them in their constituencies. 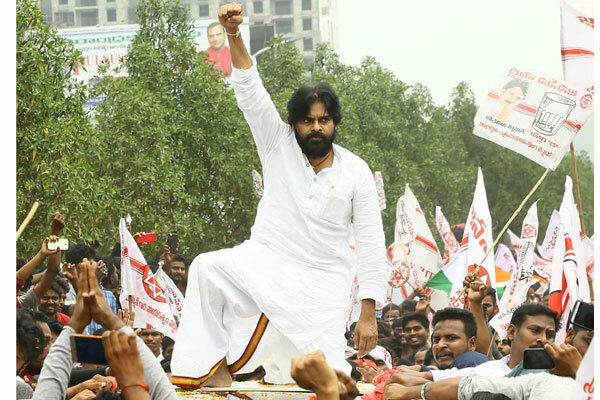 When he was introducing Lakshmi Narayana as Janasena MP candidate from Vizag, there was huge cheering from the masses. He told that, Lakshmi Narayana is “not someone who runs away after getting seat but he is the one who can stand bold” indirectly referring to Gedela Sreenu’s episode. 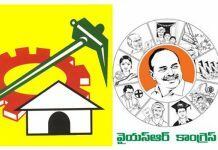 Click here for :జనసేన ఎంపీ అభ్యర్థులకు టీఆర్ఎస్ బెదిరింపులు? Later, he personally introduced to people all the contestants of Janasena. 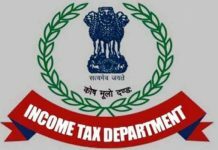 Pawan commented that, when Central government decided to privatize Dredging Corporation of India, it was communist parties who waged struggle for stopping it. 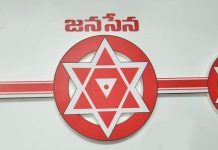 He added that when the strength of communists was not sufficient, Janasena joined hands with them and ensured central government takes back its decision. Pawan alleged that Pendurti MLA Bandaru Satyanarayana Murthy is doing lot of corruption. He urged people to vote for Janasena to stop his and his son’s corruption. He also targeted Yelamanchili MLA Panchakala Ramesh Babu and told he was a nice man when he was in PRP but he changed a lot after winning as TDP MLA and he is now involved in sand mafia. Overall, Janasena chief’s meetings at Gajuwaka drew thunderous response. We have to wait and see how will be the performance of Janasena in elections.